Another Round Of ‘Take Me Out To The Ballgame’ Is Underway! 97X and Necker's Jewelers have another opportunity to take in the MLB game of your choice! Airfare, hotel, tickets, and spending cash are all part of the prize package! Which stadium you would choose? Are you a displaced Pirates fan living in the Quad Cities? Super. 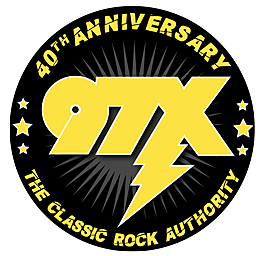 Let 97X send you back to PNC Park. Maybe you've always wanted to see Camden Yards, or The Green Monster at Fenway. We can send you there! Heck, you can enter even if you're not a baseball fan. I'm ok with that! Maybe you have family in Seattle? Have you always wanted to visit San Francisco? You know, a trip to Miami or New York doesn't sound to bad either. Just get entered and you could win this great flyaway from Necker's Jewelers and Classic Rock 97X!